This was unbelievable for me till I had encountered the event. Like any other weekend, in September 2013, we had just finished our run in Lodhi Gardens. 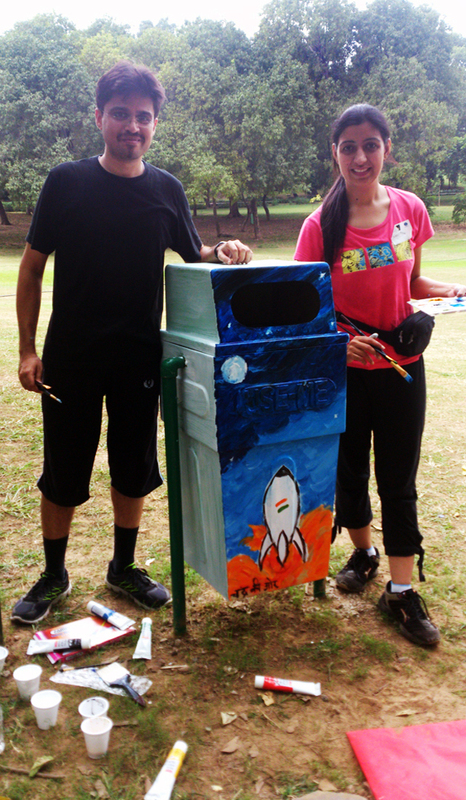 While cooling down we saw few people painting the trash cans. Taken by surprise we went ahead and checked with the organizers. 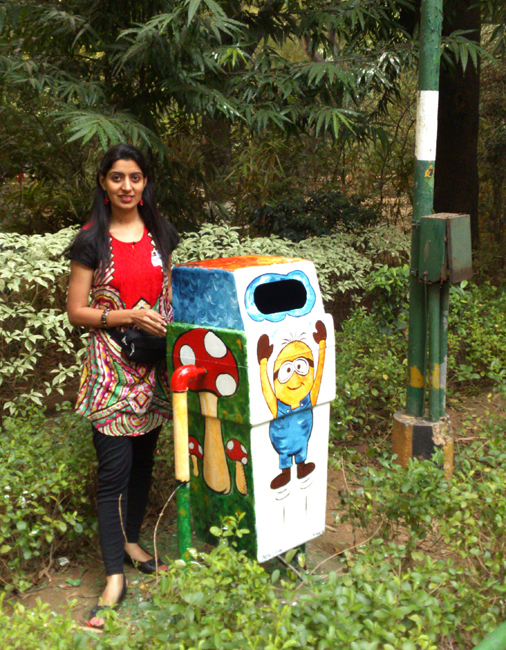 With a simple registration process, anyone could volunteer and make the boring trash cans into a piece of art. In no time we were painting the sky blue, literally. The thrill of enjoying the splashes of colors, brush strokes in close contact with the nature was a dream come true. In fact it gave me such a high, I could sense what someone may feel after marijuana, an addiction which pushed me to do it again. And here’s the result of 7 hours of high with mushrooms, minion and merry! Doing our bit for social awareness. 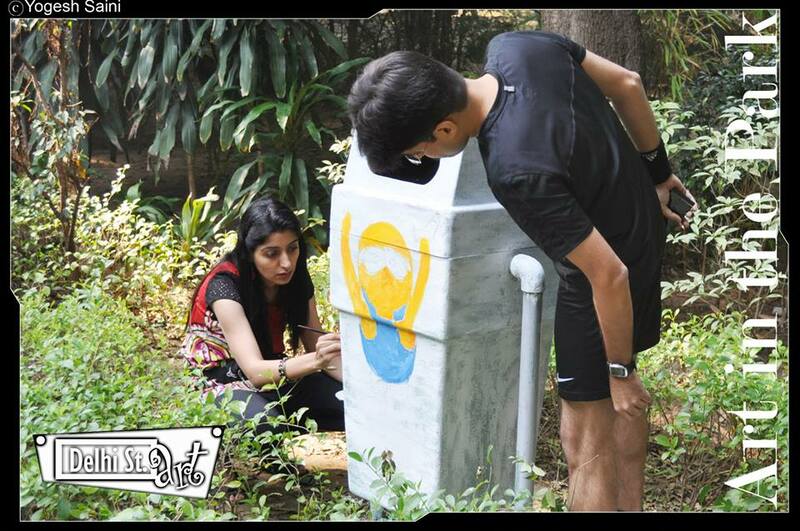 Concept behind this Social Initiative – To pull people’s attention that ‘hey there is a bin’ instead of them disposing stuff around! Event was organized by Delhi Street Art in collaboration with NDMC.